When you have legal challenges, everything can change – we know that at Nancy Cochran Maddox Attorney at Law, P.C.. With over fifteen years of experience working on our clients' behalf, you can focus on life, instead of finding yourself overwhelmed and worried about your legal situation. Our staff includes Attorney Nancy C. Maddox (ABJ, Bachelor of Arts from the Henry W. Grady School of Journalism and Mass Communications, 1995; Juris Doctorate, University of Georgia, 1998), licensed to practice law since June 1999. 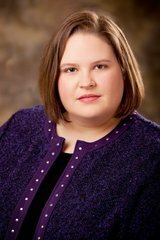 Ms. Maddox has been working in East Ellijay, Georgia since May 1, 2000, and has devoted her practice to real estate, estate planning, probate, family and business law. The professional assistants for Ms. Maddox have over 25 years combined experience working in the legal field. Melanie Effler and Stephanie Brown, professional legal assistants, are available to assist you. Ms. Effler primarily handles real estate related matters, including real estate closings and quiet title actions. Ms. Brown primarily works with family law, probate and estate planning, providing an important link between the client and the attorney. 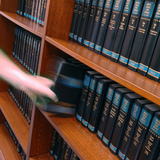 Areas of practice include family law, business law, real estate, probate and quiet title actions. Serving Gilmer County including East Ellijay & Ellijay and Pickens County including Jasper. Email Nancy Cochran Maddox, Attorney at Law, P.C. 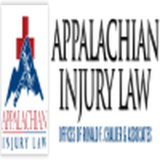 Review Nancy Cochran Maddox, Attorney at Law, P.C.